for the 2018 Spring Break! 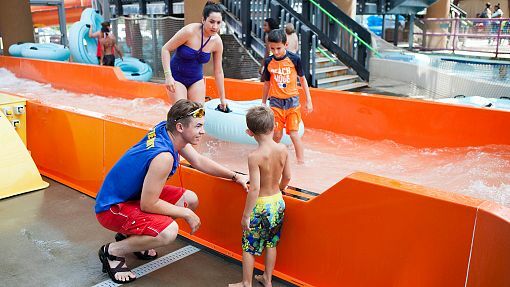 Slideboarding, Cabanas, Kids’ Splash Zone and more awaits your family at the Water-Zoo Indoor Water Park in Clinton, Oklahoma. We will be opened daily from 10 AM through 8 PM. Book online at the Hotel Packages or Daily Admission pages or call 580 323 9966 for more information.